Welcome to Propy Blog. Below you will find step-by-step guidelines on how to use the Propy blogging platform and submit your articles. All of the posts will be published in the Community section of the Propy Blog. Additionally, high-quality posts will be selected by our editorial staff to be featured on the Homepage. As a Propy Blog member, you will be given your login and temporary password (that you can change later). Click on “sign in/join” and login to your account. Once logged in, feel free to change your password and update your user information. Once you are logged in, click on Propy Blog –> Dashboard –> Profile to enter “Personal Options” window. There, update your profile information. 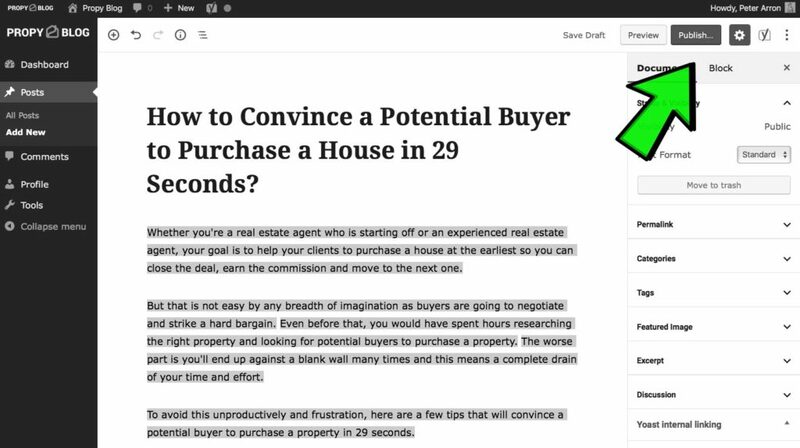 From your dashboard, click on All Posts –> Add New to begin crafting your article. 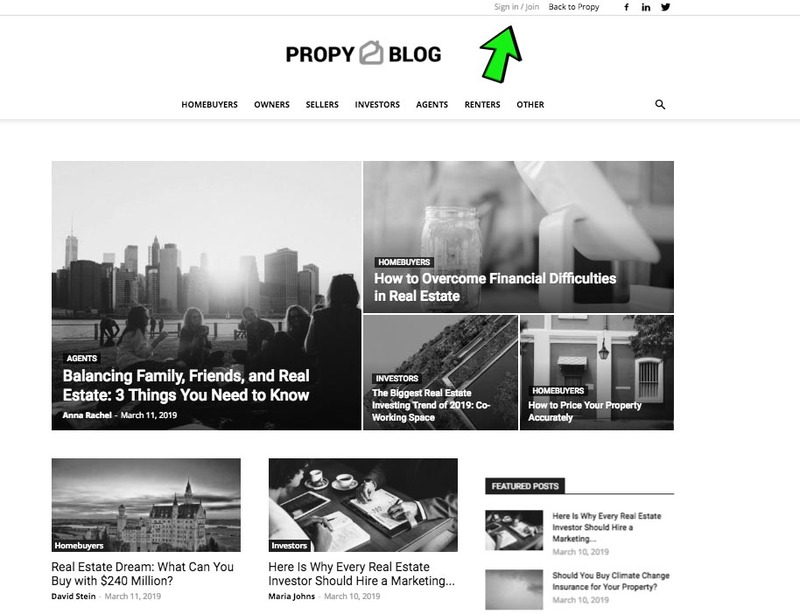 *To ensure the premium quality of the content on Propy Blog, we do NOT accept posts that are NOT relevant to Real Estate and/or represent spam/phishing. 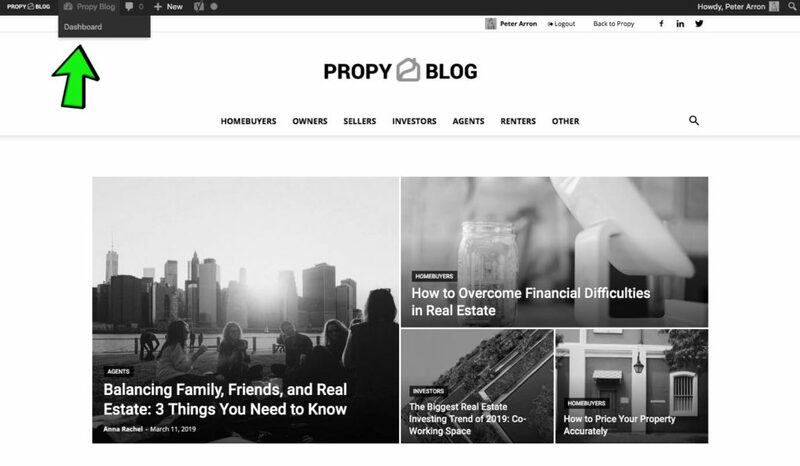 *High-quality posts will go on the Homepage of Propy Blog. To improve the quality of your post, please follow the below steps. 99% of our Premium blog posts are 350+ words long. To join the list of our premium content bloggers, try to craft posts that are 350 words or longer. Keep readability and SEO optimization of your article at its highest. To check the optimization score, scroll down to the bottom of your post to the Yoast SEO section and look through suggestions on how to optimize your post better. Look through the Readability Analysis section and make sure that all of the bullets are green. Then, enter in the Focus Keyphrase (phrase that you want your post or page to be found for). Make sure that the Focus Keyphrase shows a green bullet. Include a featured image for your post. The dimensions should be 1300×700 pixels. Make sure that your image is not plagiarized. To do this, use free-to-use images from stocks, like pixabay.com. Note: If your post is high-quality and well optimized, our image design team will generate a quality image and will feature it along with your article on the homepage. *Please note: It will take about 1-3 business days to review and publish submitted posts.